A brand new perspective on a truly legendary location. Our Moab, Utah ATV Trail Guide will blow your mind. See the remarkable work of Mother Nature with a whole new adventurous mindset on any of the 30 trails we take you through step by step in this guide. 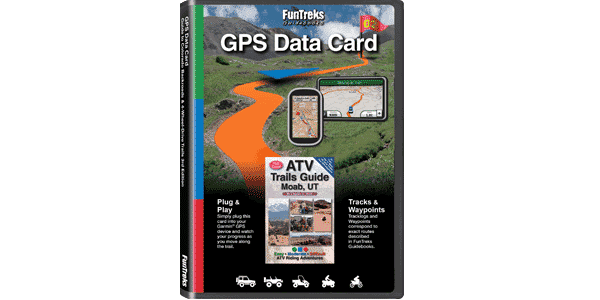 This new full-color guide has been designed specifically for ATVs, but trails are also great for all OHV’s including dirt bikes. Precise directions, pinpoint maps and stunning color photos guide you through Moab, Utah’s legendary backcountry. Thirty‚ “cruiser-to-bruiser‚” routes provide thrilling rides for all skill levels. Learn where to unload and places to camp. Stay on course with handy GPS waypoints.Book promotes low-impact riding. This book was a great help finding our way around to the trail heads and on the trails as well. We took it with us where ever we went. I think that in order to be safe the difficulty ratings are a little conservative but still give a relative comparison from one trail to the next. The trails that the book mentions as impassible and for jeeps only really are unless you are willing to spend time to rig and winch your way over them. The photos in the book are right on and help to identify location at times when you may have some doubt. If you are planning an ATV trip to Moab this book is the Bible to lead you through the promised land. The maps and directions are great. He labels them with skill levels so if you want easy or difficult trails you can ride the kind of trails you like. I also bought the Guide to Moab, UT Backroads and 4-Wheel Drive Trails. This one has some of the trails that aren’t in this book that are made for Jeeps but ATV’s can go on as well. There is more challenging trails in the Jeep book. The author is great very well written books. I actually already owned this book, and purchased it for a friend. That should say something. I love this book and the off-road jeeping book put out by the same author. Very descriptive with color pictures, gps waypoints, and fantastic directions. Wells produces very helpful books and the GPS trail chips that augment them.They are awesome for off road use. Perfect read for riding in Moab! Very easy to follow with great directions to the trails. We have two of his other trail guides also. Used this book on my first trip to Moab (I followed ATVs with my Jeep). Maps are great, write ups are solid. 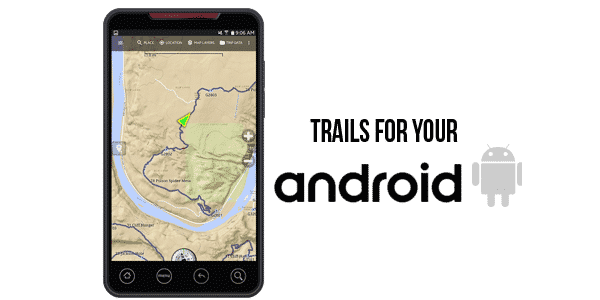 Good descriptions and directions for included trails. Too many trails to include all of them. Worth the money. Product worked as expected and helped me have a great trip to Utah. I would purchase this item again. We have many of his guides for other areas and 4×4. We spent ten days riding in many areas near Moab and this book was indispensable.